Campobello Island is an island located at the entrance to Passamaquoddy Bay, adjacent to the entrance to Cobscook Bay, and within the Bay of Fundy. The island is one of the Fundy Islands and is part of Charlotte County, New Brunswick, Canada. Campobello Island is also the name of a rural community including the entire Parish of Campobello. The island has no road connection to the rest of Canada; though there is a bridge connecting it to nearby Lubec, Maine in the United States. To reach mainland Canada by car without crossing an international border requires two separate ferry trips, the first to nearby Deer Island, then from Deer Island to L'Etete. Measuring 14 kilometres (8.7 mi) long and about 5 kilometres (3.1 mi) wide, it has an area of 39.6 square kilometres (15.3 sq mi). The island's permanent population in 2011 was 925. The majority of residents are employed in the fishing/aquaculture or tourism industries. 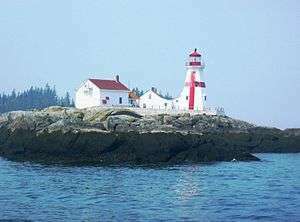 The two major tourist attractions on the island are Herring Cove Provincial Park and Roosevelt Campobello International Park. The latter was created in 1964 and was officially opened by U.S. President Lyndon Johnson and Canadian Prime Minister Lester Pearson in 1966. The first Europeans were reportedly from the French expedition of Pierre Dugua de Mons (Sieur de Mons) and Samuel de Champlain, who founded the short-lived nearby St. Croix Island settlement in 1604. France named the island Port aux Coquilles ("Shell Harbour"). 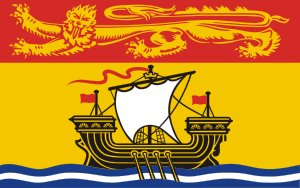 Following the War of the Spanish Succession, under terms of the Treaty of Utrecht (1713), the island came under British control and was placed in the colony of Nova Scotia, having ceased to be included in the French colony of Acadia. 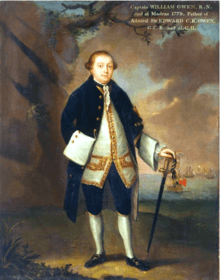 In 1770, a grant of the island was made to Captain William Owen (1737–1778) of the Royal Navy, who renamed it Campobello. The island's name was derived from Britain's Governor of Nova Scotia, Lord William Campbell, by Italianizing/Hispanicizing his name Campbell (which is really of Scottish Gaelic origin), alluding to campo bello, which in Italian means "beautiful field" and in Spanish "beautiful country(side)". The creation of the colony of New Brunswick in 1784 saw the island transferred to the new jurisdiction, and by the end of the 18th century the small island had a thriving community and economy, partly aided by Loyalist refugees fleeing the American Revolutionary War. Smuggling was a major part of the island's prosperity after the Revolution, a custom to which local officials largely turned a blind eye. During the War of 1812 the Royal Navy seized coastal lands of Maine as far south as the Penobscot River but returned them following the war, except for offshore islands. In 1817 the U.S. relinquished its claim to the Fundy Isles (Campobello, Deer, and Grand Manan islands), and the British returned islands in Cobscook Bay including Moose Island but notably did not return Machias Seal Island. By the mid-19th century, Campobello Island had a population in excess of 1,000. In 1910, 1,230 people lived there. ↑ Ward, Geoffrey C.; Burns, Ken (2014). The Roosevelts: An Intimate History. 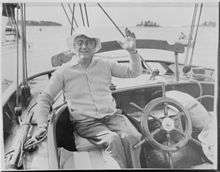 New York: Alfred A. Knopf. ISBN 9780307700230.